Click to see the video. P.R.C. Supervisory Systems can gather and store data and alarms about heating and refreshing systems. 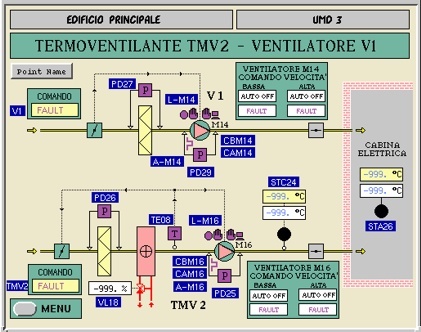 Control room operators are alerted to devices alarms with acoustic and graphical warnings through viewer stations.